His goal is to develop knowledge and technologies that will allow people with sensory impairments to optimally use their hearing to achieve the independence, prosperity and fulfilment they desire. 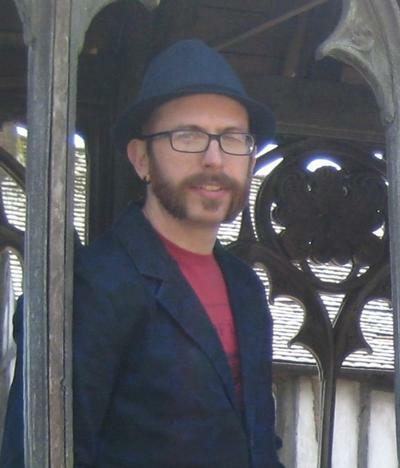 Daniel is the Director of Programmes (Audiology) covering the MSci/BSc Healthcare Science (Audiology) and MSc Audiology course, teaches on them and looks after clinical placements. He is also an Audiologist registered with the Registration Council for Clinical Physiologists (RCCP). A sample lecture on human echolocation. 2013 The Denzil Brooks Trophy, British Society of Audiology in recognition of outstanding contributions to promoting excellence in clinical practice through Chairmanship of the Professional Practice Committee, which has become the leading provider of clinical guidance in audiology nationally and internationally. How hearing can help us to localise objects that either actively produce sounds (aka sound-source localization) or can be stimulated to reflect sounds (aka echolocation). How hearing assists or interferes with our ability to function in challenging acoustic and psychological environments. For example, effects of different types of background sound on hearing, situational awareness and cognitive capabilities. The effects of hearing impairment and auditory prostheses on our hearing abilities (including speech understanding and localization). The importance of hearing to visually impaired and blind people and how the usefulness of their hearing can be improved, especially if they also have a hearing loss. 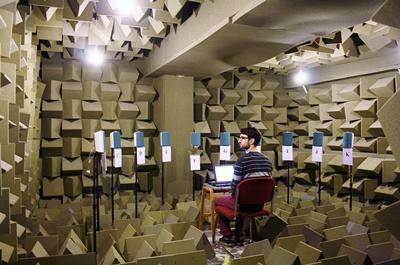 How can humans use echoes to detect and locate objects? How can the impact of hearing impairment on the capabilities of military personnel be assessed? Rowan, D., Kapadia, S., & Lutman, M. E. (2003). Does ear canal pressure influence pure tone pitch perception? International Journal of Audiology, 42(6), 379. Crowe, N. D., van Besouw, R. M., & Rowan, D. (2010). Bilateral cochlear implants: Effect of interaural electrode insertion-depth mismatch on speech intelligibility. British Society of Audiology Short Papers Meeting on Experimental Studies of Hearing and Deafness, Southampton, United Kingdom. Edwards, D., Papadopoulos, T., Allen, R., & Rowan, D. (2009). Bat echolocation database. Paper presented at 5th Institute of Acoustics International Conference on Bio-Acoustics, United Kingdom. Papadopoulos, T., Edwards, D. S., Rowan, D., & Allen, R. (2009). Identification of auditory cues utilized in human echolocation - objective measurement results. Paper presented at 9th International Conference on Information Technology and Applications in Biomedicine (ITAB2009), . Edwards, D., Allen, R., Papadopoulos, T., Rowan, D., Kim, S., & Wilmot-Brown, L. (2009). Investigations of mammalian echolocation. 7184-7187. Paper presented at 31st Annual International Conference of the IEEE Engineering in Medicine and Biology Society, United States. Kim, S. Y., Papadopoulos, T., Allen, R., & Rowan, D. (2009). Measurement of the head-related transfer function of a bat head cast. Paper presented at 5th Institute of Acoustics International Conference on Bio-Acoustics, United Kingdom. Edwards, D., Holmes, H., Rowan, D., Papadopoulos, T., Allen, R., & Wilmot-Brown, L. (2009). Preliminary reflector-localisation studies using stimuli related to an echolocation. Paper presented at 7th Annual SoNG Meeting, . Edwards, D., Holmes, H., Rowan, D., Papadopoulos, T., Allen, R., & Wilmot-Brown, L. (2009). Preliminary reflector-localisation studies using stimuli related to an echolocation task. 68-69. Poster session presented at British Society of Audiology Short Papers Meeting on Experimental Studies of Hearing and Deafness, Southampton, United Kingdom. Rowan, D., & Tompkins, L. (2008). Binaural masking-level difference with bone conduction: Implications for bilateral BAHAs. British Academy of Audiology Conference 2008, . Kim, S. Y., Papadopoulos, T., Allen, R. A., & Rowan, D. (2008). Modelling of bat echolocation signals to differentiate object dimensions and materials. 2911-2917. Paper presented at 15th International Congress on Sound and Vibration (ICSV15), Korea, Republic of. Rowan, D., Adewale, M., & Millgate, A. (2008). Preliminary evaluation of audiometric test to identify feigned/exaggerated hearing loss. British Academy of Audiology Conference 2008, . Kim, S. Y., Allen, R., & Rowan, D. (2008). The simulation of bat-oriented auditory processing using the experimental data of echolocating signals. 5235-5240. Paper presented at Acoustics '08, Paris, France. Kim, S. Y., Papadopoulos, T., Allen, R., & Rowan, D. (2008). Using a model of bat echolocation to differentiate object dimensions and materials. 159-162. Poster session presented at Proceedings of Biological Approaches for Engineering, . Kim, S., Allen, R., & Rowan, D. (2007). Review on echolocation with binaural hearing in bats and humans. Paper presented at 3rd Life Science Interface Conference, United Kingdom. Kim, S. Y., Allen, R., & Rowan, D. (2007). Review on echolocation with binaural hearing in bats and humans. Poster session presented at 3rd Life Science Interface Conference, United Kingdom. Ellis, W., & Rowan, D. (2006). Auditory learning with binaural cues to localisation. Poster session presented at BSA Short Papers Meeting on Experimental Studies of Hearing and Deafness, . Rowan, D., Ellis, W., & Lutman, M. E. (2006). Binaural perception of high frequency complexes. 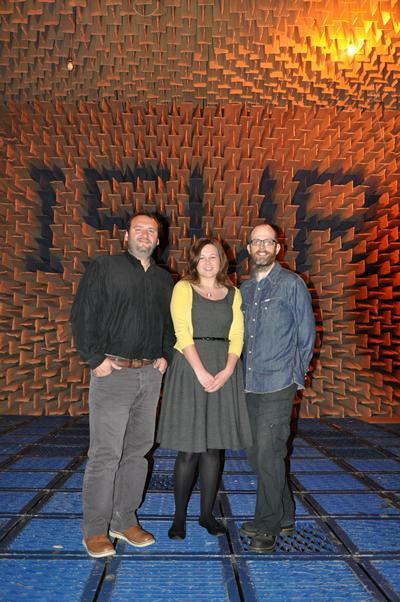 Paper presented at Institute of Acoustics Spring Conference 2006: Futures in Acoustics: Today's Research - Tomorrow's Careers, . Rowan, D., Gray, M., & Brown, T. H. E. (2006). Theoretical considerations of binaural hearing involving bone conduction stimulation. BAA Annual Conference and Expo, . Hinton, K., Rowan, D., & Mackenzie, E. (2004). Comparison of adaptive procedures for binaural discrimination: test-retest reliability and bias. Paper presented at British Society of Audiology Short Papers Meeting on Experimental Studies of Hearing and Deafness, . Rowan, D., & Lutman, M. E. (2004). Effects of training on ITD discrimination using 'transposed' stimuli: preliminary analysis. Paper presented at British Society of Audiology Short Papers Meeting on Experimental Studies of Hearing and Deafness, . Rowan, D., & Lutman, M. E. (2004). High-frequency ITD discrimination with "transposed" stimuli in trained and untrained normal-hearing adults. Poster session presented at Association for Research in Otolaryngology, . Rowan, D., Kapadia, S., & Lutman, M. E. (2002). Does ear canal pressure influence pure tone pitch perception?. Poster session presented at British Society of Audiology Short Papers Meeting on Experimental Studies of Hearing and Deafness, .